Undoubtedly, the Mystical Series collection of incense has a cauldron of magical fragrances which toys with your senses. These incense sticks shows rods of incense which are generally known as Mystical sticks coming from various nations across the globe. They are made use of several varied purposes that is based upon the place and ingredients used. Well, this fragrance is hard to describe, and almost close to impossible to forget. Hence, say goodbye to a boring world, and travel as far as you can into your own. 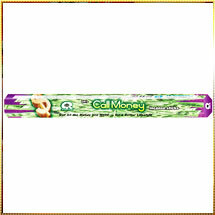 These incense sticks are made by using several mixtures of herbs, woods and resins or are pressed kneading the mixtures.